We’re only inviting 9 speakers to TNW New York 2017. Here’s why. 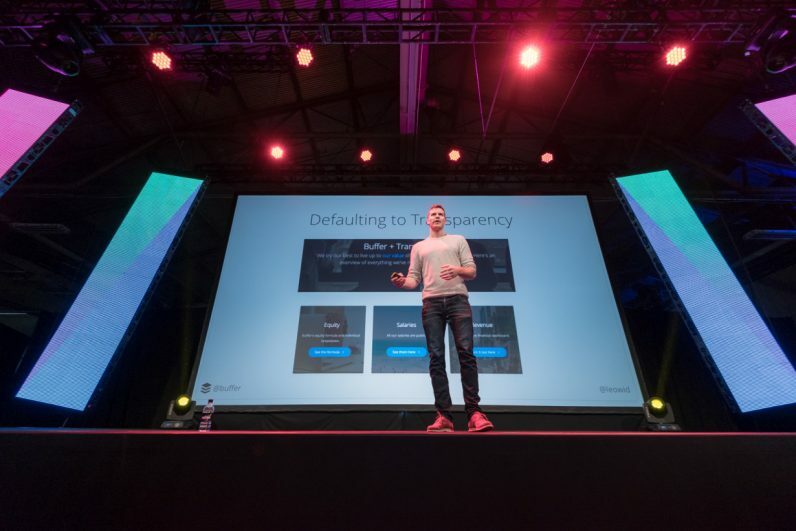 This year, for TNW New York we’re going invite-only. We want to offer outstanding value to our 1,000 hand picked attendees by organising 185 round-table sessions with industry thought leaders in technology, media, and communication. But since we’re known for our content curation, and we try to exceed those expectations every year, we did invite keynote speakers. Nine keynote speakers, to be exact. Our keynote content will revolve around six leading technological changes that will impact our industry. For each of these, we’ve found a forward thinking researcher or expert to share their vision on how this tech will change the way we work and live over the next 3-5 years. We’re aiming to give you a concentrated experience that brings you up to speed and into the know about the forces that will affect your business in a medium to longterm timeframe. Two of these nine experts are industry leaders who will discuss the implications of new digital technologies for your industry, your company and your job in more intimate fireside chats. We don’t just want you to understand the path our future will take, but help you translate it to practical action points that can help make your business future-proof. Every 25 minute journey will take you to in-depth places of knowledge exploration on blockchain, iOt, voice interfaces, AI and cybersecurity. After learning all you need to know next, it’s time to discuss actionable insights to implement in your business now. That’s what you’ll learn during the round tables, a.k.a. the NOW-sessions: awesome hosts guide attendees through small-group sessions and in-depth roundtable chats about the technologies and tactics that disrupting companies are using at this very moment. That way, attendees will not only listen and be inspired, but they also have the chance to discuss the challenges they’re facing in their own business. In total we’ll have over 220 roundtable sessions to choose from. Instead of working towards another event with the initially attractive Mega XXL attendee list, this year we only have 1,000 spots available. To assure these attendees are of the same level as you, we’re handpicking industry leaders and C-level decision makers in media, technology, and communication. Going invite-only provides the opportunity to separate the wheat from the chaff while your networking. Something that will – hopefully – result in meaningful new relations. On top of the opportunity to discuss your own challenges with industry leaders, you’ll get the chance to learn what you need to know to prepare for the future. Decision makers in the ever changing, fast innovating media, communication, and tech industry can apply here for a ticket.